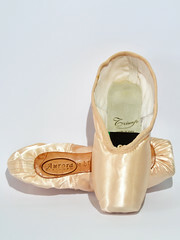 When I found this pretty photo of the Dutch pointe shoe Papillon Avignon I was intrigued. LePapillon of Holland is a very interesting company. 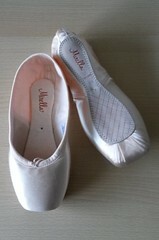 The company is Based in Amsterdam, Holland, but have given themselves a very French name. The website offers a choice between the English and Dutch languages. 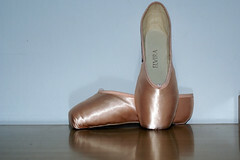 Never have I seen a photo of any Papillon pointe shoes other than this photo and the photos on their website. 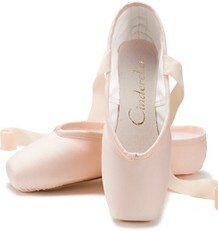 This is what makes a pointe shoe brand so intriguing to me. You know the company exists, but there is so little information available about them. 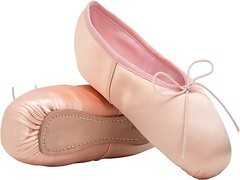 Looking through the LePapillon website I noticed 5 different pointe shoe models, the 1100, Paris, Milan, Madrid, and London. The Avignon is nowhere to be found. I have made an inquiry to LePapillon about the Avignon model. When (or if) I receive more information about the Avignon model, I will update this post. For now, the Papillon Avignon will remain a mystery indeed. * 2/11/11 Update: LePapillon returned my inquiry today. They no longer carry the Avignon. It has been discontinued. 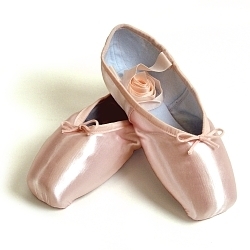 This entry was posted in Dutch Brands, Mystery Pointe Shoe Brands and tagged Dutch pointe shoes, LePapillon pointe shoes, Papillon Avignon, Pointe Shoe Brands. Bookmark the permalink. Thank you 🙂 No, I haven’t received a reply from them. 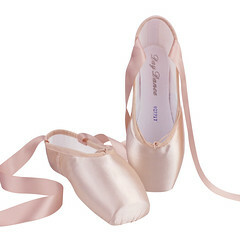 Sometimes it is very difficult to get fast responses from pointe shoe companies. It can take many, many e-mails. I have a feeling the Avignon may be discontinued but I will keep trying to find out something about them. I wonder where the seller got them!!! The mysteries of discontinued stock being sold online is very interesting. 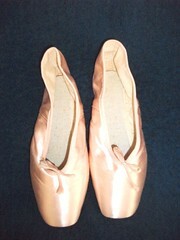 One can see pointe shoes for sale online years after the maker has stopped production. Shoes like this are perfect for the collector (like me).